Camera monitoring systems promise to improve highway safety by giving truck drivers better visibility around the outside of the truck, but removing the mirrors could force highway safety inspectors to change their practices, according to the executive director of the Commercial Vehicle Safety Alliance. At the spring CVSA Workshop in Portland, Ore., last year, a truck cab was equipped with the Stoneridge MirrorEye camera monitoring system in place of conventional mirrors. The one thing that came up as a concern for law enforcement officers was not having the mirrors available when approaching the vehicle. The Federal Motor Carrier Safety Administration on Dec. 26 announced it issued a five-year exemption to Stoneridge Inc. to allow its aftermarket MirrorEye mirrorless digital camera and sensor system to be installed on trucks and motor coaches as an alternative to traditional mirrors, Transport Topics reported. 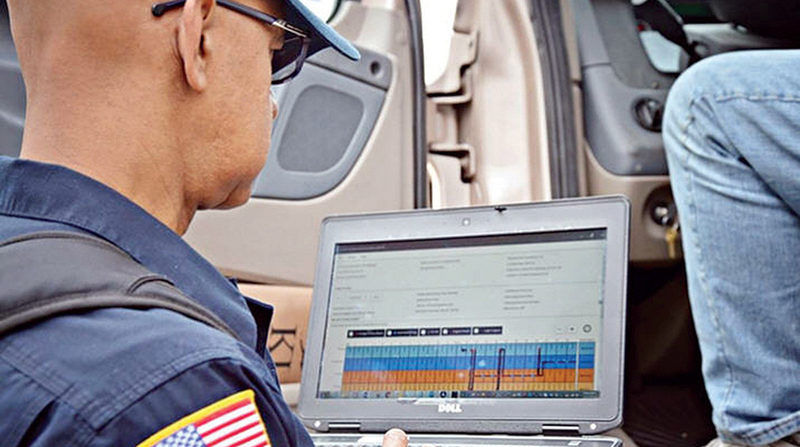 CVSA has a policy of supporting improvements in transportation ­safety, and camera monitoring systems fall into that category. ­Although it is in favor of safety technology and automated driving systems, Mooney said the organization believed it was important to raise the issue concerning this use of mirrors by roadside inspectors. Advances in the technology used to conduct inspections may solve the problem. “We’re moving closer to conducting inspections electronically, so there will not be any need for an officer to walk up to a truck,” said Dean Newell, vice president of safety and driver training for Maverick Transportation. CVSA is working to make this a reality. In a connected world with advanced driving systems, the roadside inspection program will evolve, Mooney said.